Home » Off Topic » Apple Launched its Own Credit Card – Will it come to India? After disrupting the PC/mobile/tablet industry, Apple is now entering into the world of credit cards. Apple today announced its new credit card, in partnership with Goldman Sachs & Mastercard. As usual, with Apple Card, Apple is attempting to revolutionise the way we use credit cards. Rewards: as cash equivalent to “Apple Cash” account. Well done Apple! For those premium customers who just care about simplicity of using a credit card, now Apple has the solution. The launch of Apple Card by Apple is just like a doomsday for the premium credit card issuers, especially American Express. Apple users would tend to use Apple Card over others cards for its ease of usage and other factors of being in the Apple ecosystem. It may still not be a huge blow, at-least for now, as 1% rewards on non-apple pay spends is bit low for those who’re into travel rewards. But for majority of iPhone users who’re not much into optimising rewards, they automatically go for Apple Credit Card for higher rewards on apple store spends, just like most of us want the Amazon Pay Credit Card even if we don’t plan to use it as a primary card. Not for now! But technically, they can do so if they wish to, maybe after they get traction in US. Not to forget, even Apple Pay is not live in India. Ideally, we can expect Apple to think about it after ~5 Years down the line, maybe faster if they found a good partnership bank to deal with in India. Also that’s when Indian credit card Industry will shine bright! While we wait to see the Apple Card in India, for now, its wise to grab the Amex Platinum Travel card for FREE, before the Limited Period offer ends. 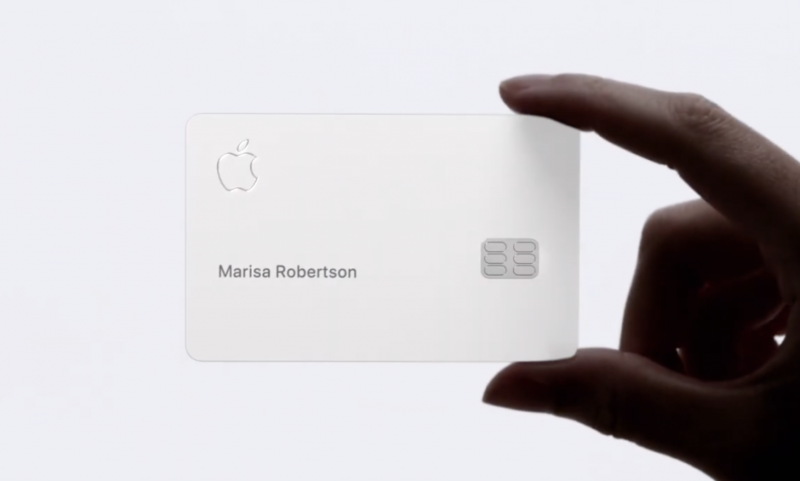 What’s your take on the Apple’s new credit card offering? Feel free to share your thoughts in the comments below. I don’t think apple card or apple pay is coming anytime soon to India. The primary reason being RBI’s and Indian Govt’s directive of localisation of Data. Apple till that moment was pretty upbeat about starting its payment service in India. However due to the localisation clause, they have put their payment plans in deep freezer. Sid, how will MasterCard or even Apple make money out of this? Is the “No Fees” only an introductory offer or a “feature” Apple wants to sell? Apple users are premium already. So they’ll spend anyway. I really want Apple Pay to launch in India soon. They announced it will be available in 40+ countries by the end of this year. Hope India is one of the country. I wonder how it will work here as rumors suggest it will be integrated with UPI based system. It’s interesting to know how Apple would strategize since even Paywave network is not widely available in most major chains. But i really want it now!!! Thanks for this new news. Its really great to see that you are bringing new content so frequently. Amazing. I don’t think Apple would launch this card in India, we are yet to receive Apple Pay here. This card is itself based on Apple Pay and seeing Apple’s inclination towards India let’s be assured we are not using this card anytime soon! Alas this will not come to India anytime soon. Apple has shelved their plan to launch Apple Pay in India – due to server localization and authentication issues. Too bad. But this is cool feature indeed and just awesome. It is the most simple yet appealing credit card option. Let’s make it simple, how it stands to other cards! 1. These reward programs, points and perks we cannot seat and calculate daily! Thats where the cash back goes better on Apple Card. 2. These programs give cash back or points after some days of usage. That’s where Daily Cash of Apple Card shines. 3. It is into your system throughout if you are using apple devices as of now ! That’s where I forgot my card is not an issue, at least users carry iPhone or watch always. A win for Apple card making its use more simple and always available. 4. No fees on anything. Only interests but on lower side, I did not comapare these however. Unfortunately I did not born in US neither do have a current business in US. I don’t hope it will come to soon as you said for 5 years and more. How will customers use it for online purchases and subscription services, if they cant see the card number? Does Apple Pay have online integration with US websites so that the card can be used online? How would the customers use it online on other international websites? The card number is visible and stored in user’s device. user can see the card number, if he wants to. In Apple Pay app they can see card number and other details. It’s just that it’s not printed on a physical card. It is a visionary and appealing launch from Apple/GS/MC. Let us wait for the US user to comment on the apple service and their experience. To see the Apple card launch in India; Apple need to face the headwinds from RBI and policy makers on 2FA, data localization. Apple won’t come to India anytime soon. But definitely there is opportunities for others to copy the concept. Especially the mobile app with Rich and interactive features, build quality of card, concept of numberless card. This is going to definitely create a challenge to amex about it’s exclusivity. Already other players hurt their business in USA, this could create further challenges for them. The card number, exp date, and CVV number are available inside the wallet app (just like some of ICICI credit cards have their info in the imobile app). The customer can use that and transact online. For people confused about how to use it on non-Apple Pay websites, you still can see your card number on the app. You can also change it instantly. So the card account has no fixed number, and nothing is printed on card. And Apple is not new to this. MC tested this last year with some customers who used a tokenized card. IndusInd in India is testing a similar system where you can keep changing the card number using online account, with nothing printed on the card. Not sure if they will succeed in whatever they are trying — I’ve lost all faith since the blinking card. A bunch of US banks, and bunch of Barclays partner issuers will implement a similar system this year. Well said. The sad thing is that we are not going to see any of this in India anytime soon. But then the reward rate is not anything to write home about either. Please update about the “lovely”card from a “lovely” bank which was to be launched in March. you are on point ! AMEX , VISA & MASTER card you will go out of business soon…!!!! 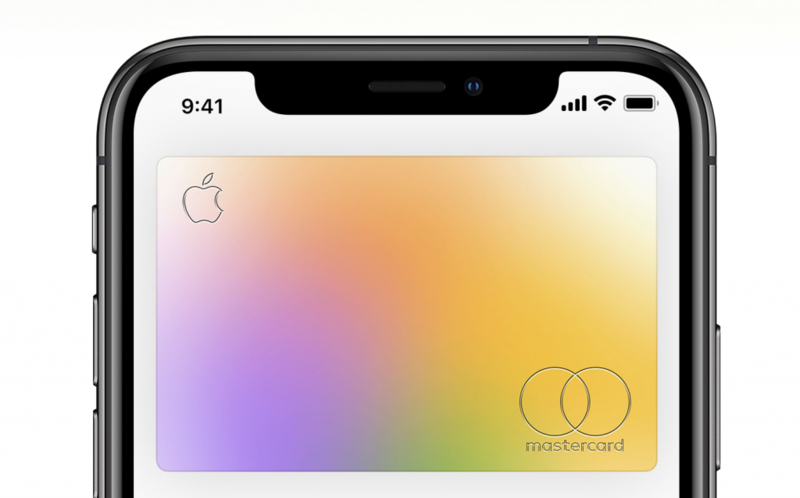 Apple Card will operate on MasterCard platform. You cant apply for the apple credit card right now as its not available in India and probably not coming anytime soon.